Nå holder jeg blant annet på med lydbokversjonen av James Herberts Ash. Det er den tredje boka om parapsykologen David Ash, men jeg har ikke lest de to foregående. Det var egentlig mest på grunn av oppleseren Steven Pacey at jeg brukte Audible-kreditten på den… Her kommer forlagets omtale: David Ash, detective of the paranormal, is sent to the mysterious Comraich Castle, secluded deep in the Scottish countryside, to investigate a strange, high-profile case. A man has been found crucified in a locked room. The reports suggest that the cliff-top castle is being haunted…. Who or what is the reclusive hooded figure that Ash has seen from the window walking across the courtyard in the dead of night? What are the strange, animal-like sounds that come from the surrounding woods? And why are the castle’s inhabitants so reluctant to talk about what they have seen? What Ash eventually discovers is truly shocking…. 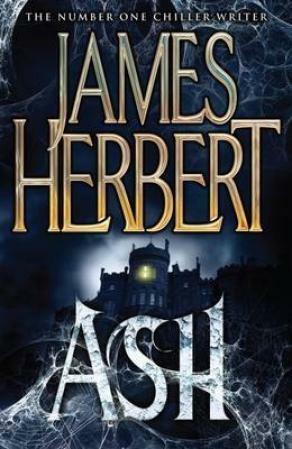 Featuring one of Herbert’s best-loved characters, first encountered in The Ghosts of Sleath and Haunted, Ash is a ghost story like no other that will chill you to the marrow. The pain of the jagged teeth and the animals raking claws was so intense that Ash almost screamed.